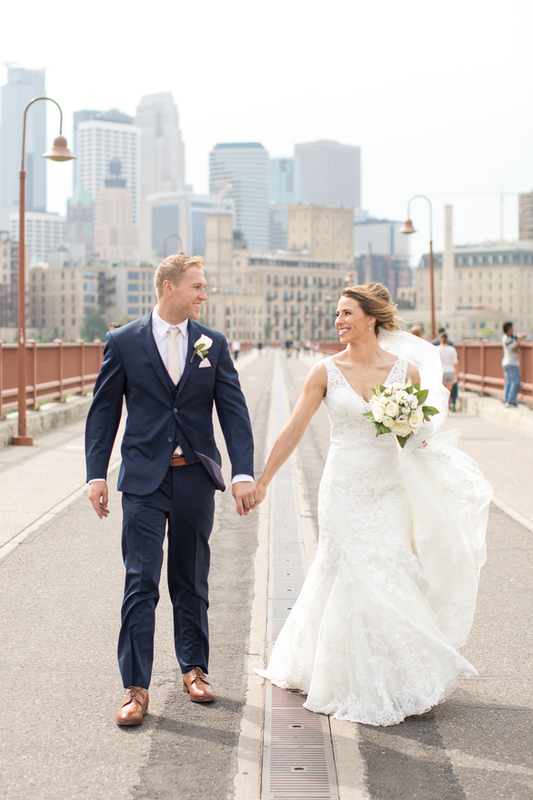 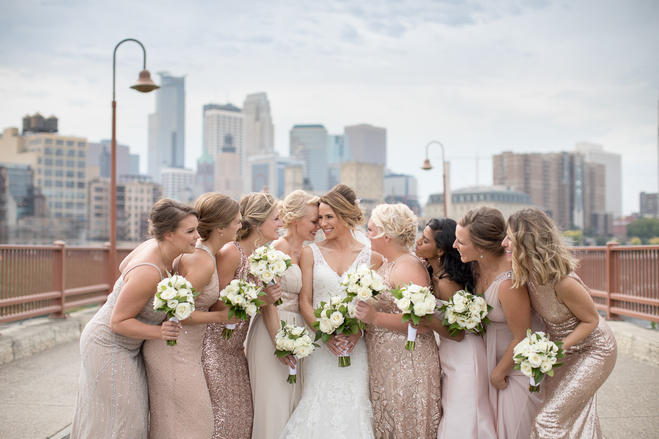 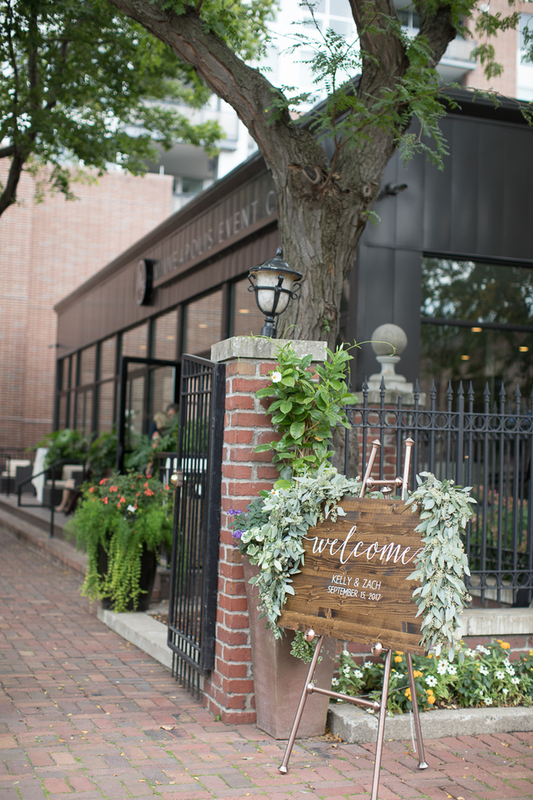 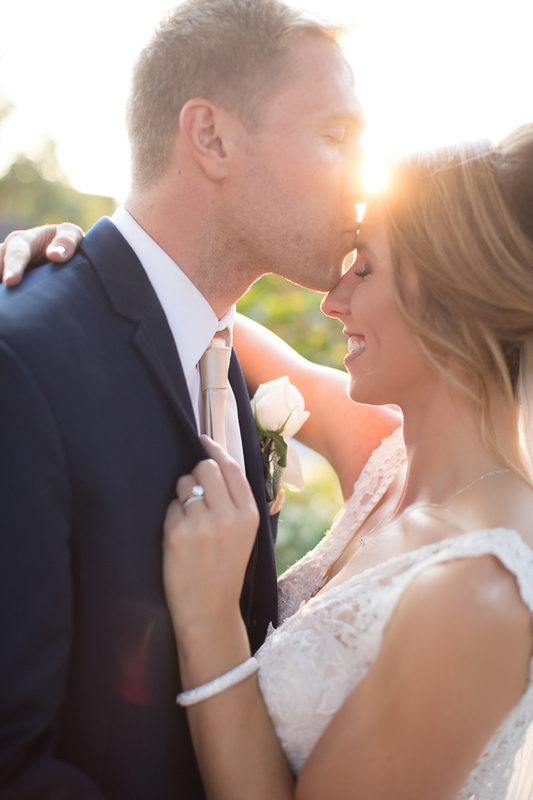 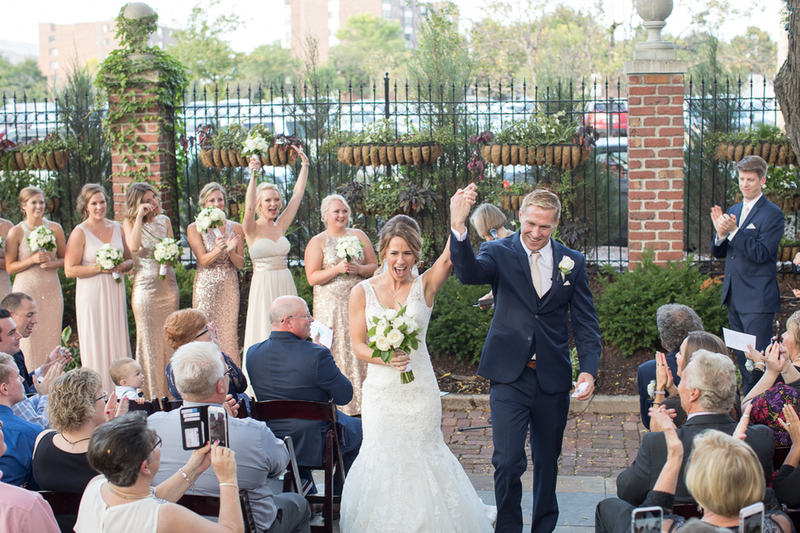 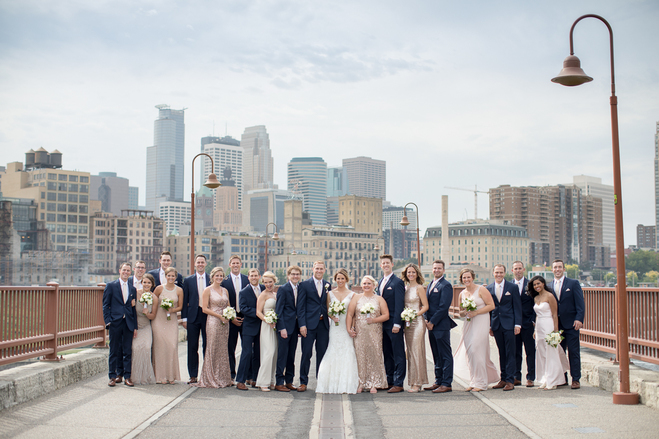 A picture-perfect Minneapolis backdrop was just what this couple needed before jetting off to South America. 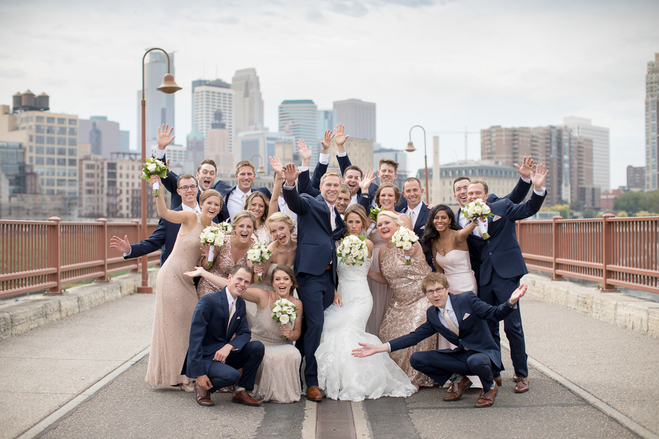 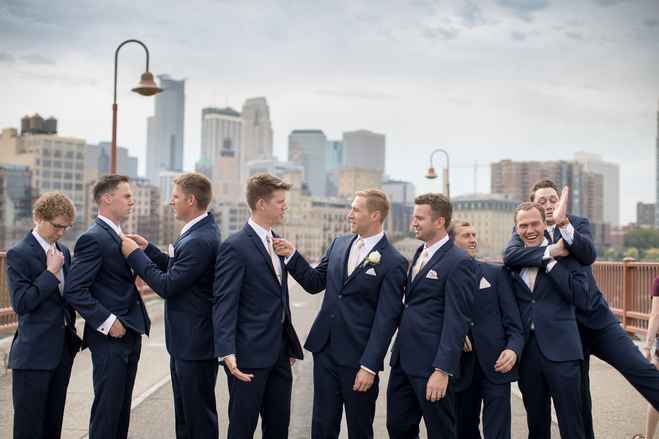 Setting the stage on St. Anthony Main, the wedding party frolicked amidst the skyline; wedding colors of pale but shimmering gold and navy complimenting the buildings' facades behind them. 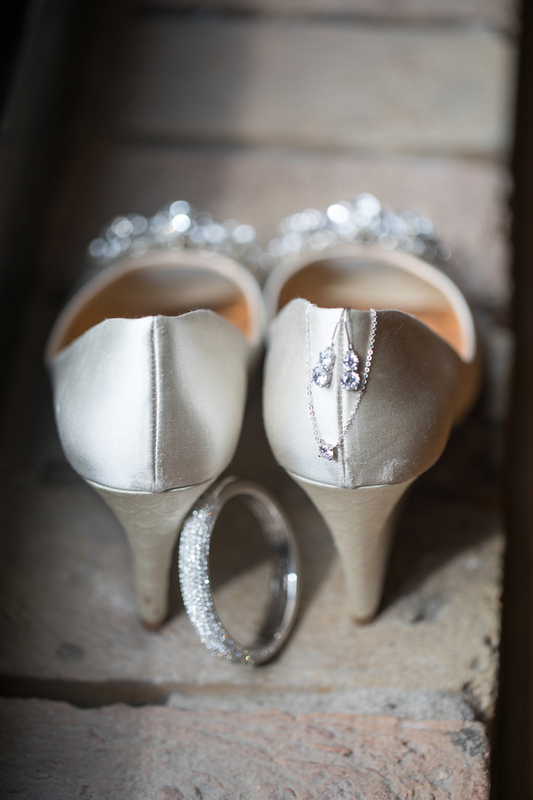 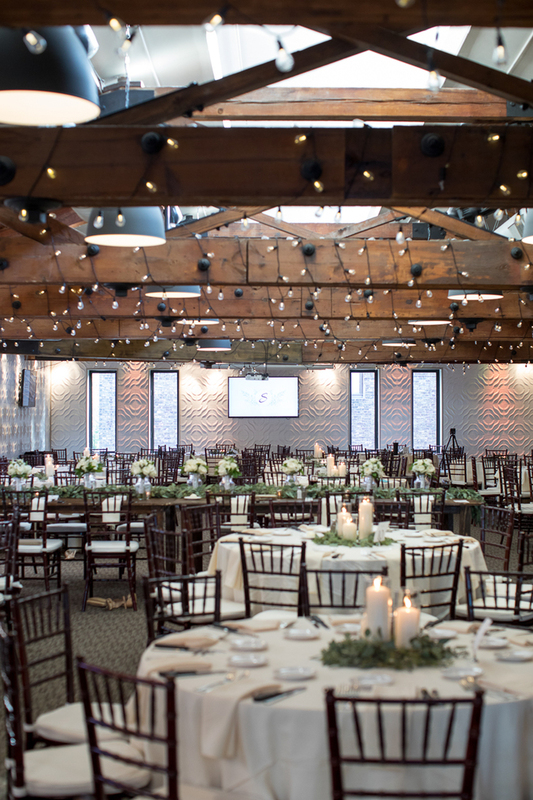 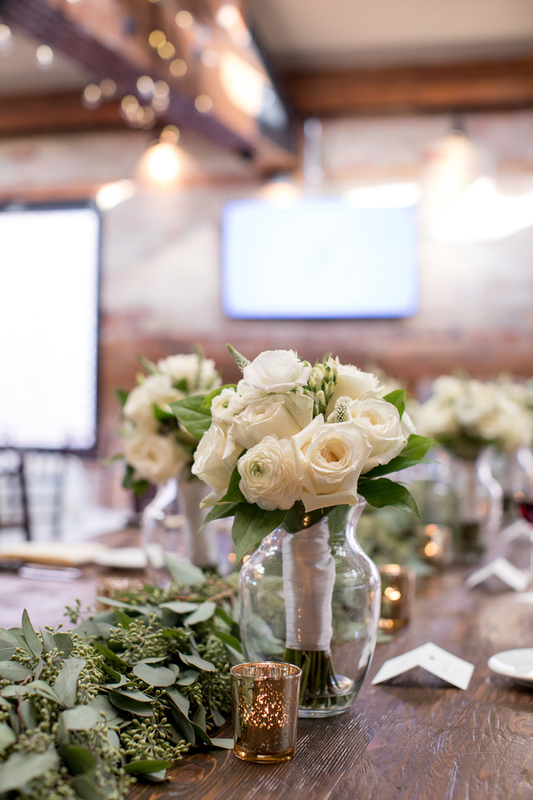 The pair opted for clean and fresh decor, frosty greens and glimmering lights cascading throughout the rafters. 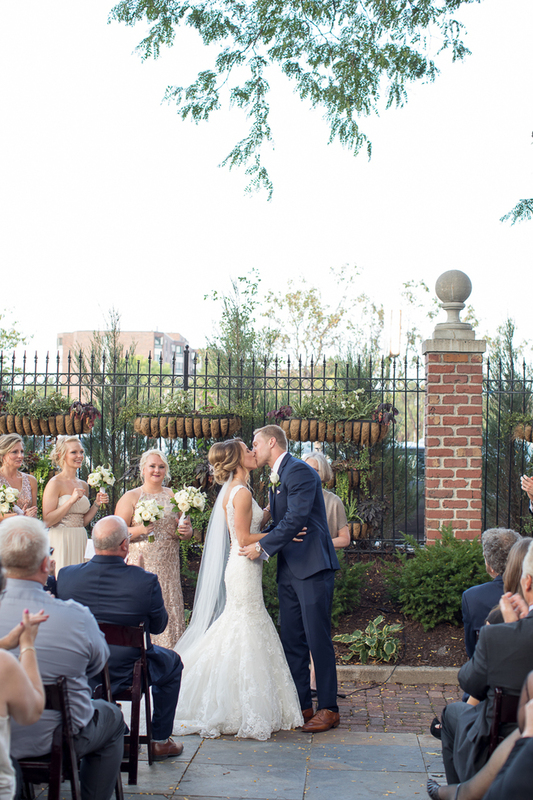 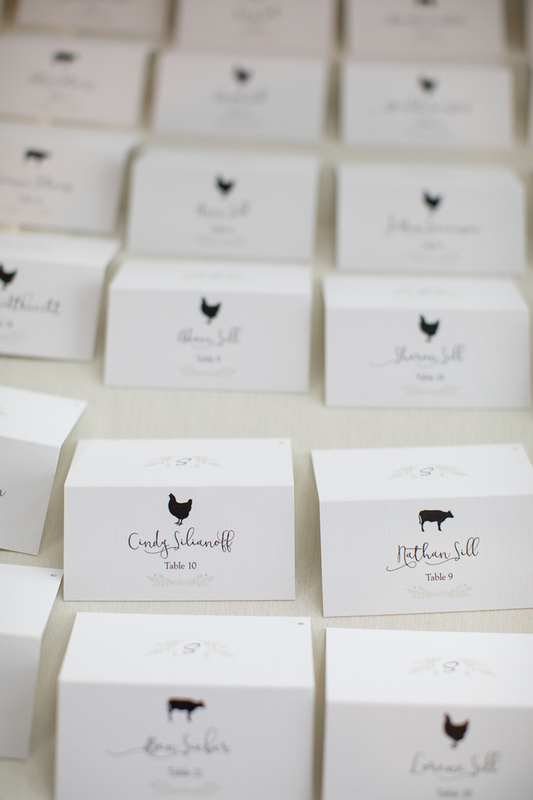 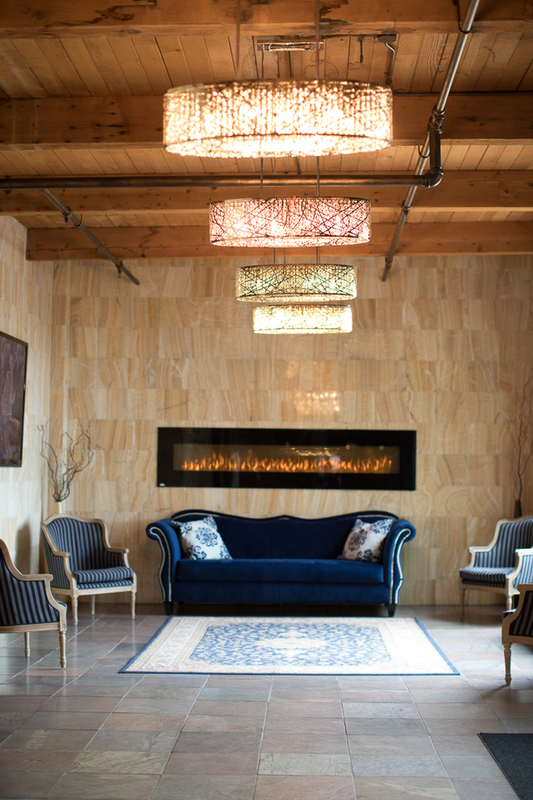 The Minneapolis Event Center's rustic wood elements added a grounding element to the extravigence. 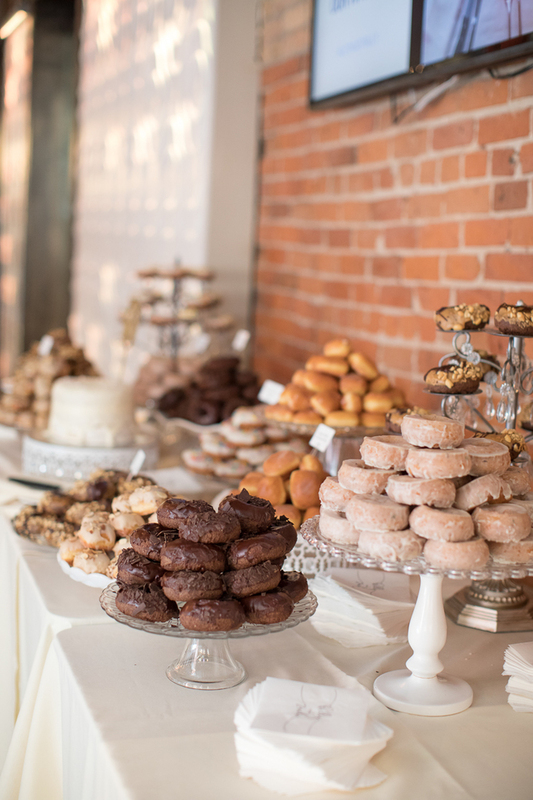 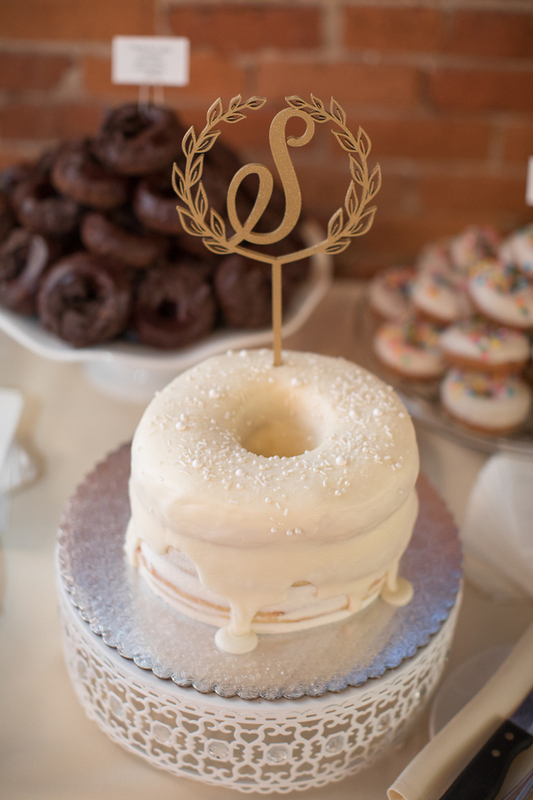 A wide array of sweets flooded the back of the hall, ranging from donuts to a wedding cake in the shape of a donut. 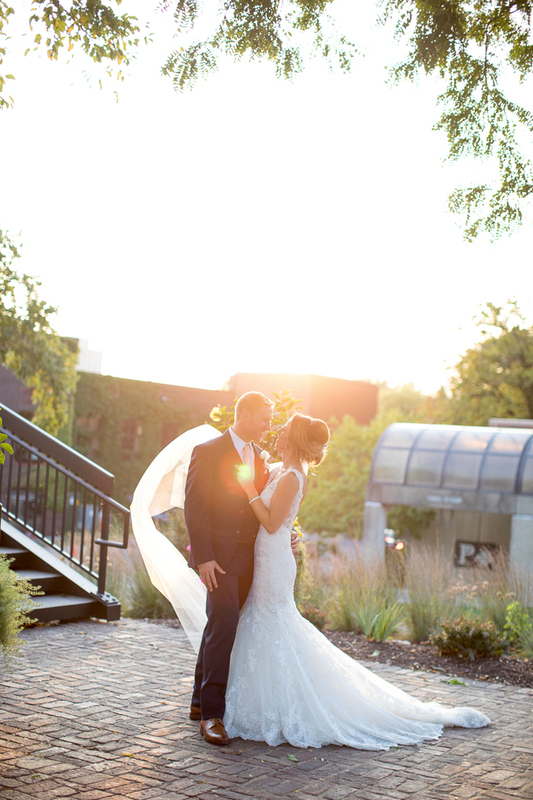 Zach and Kelly toasted their marriage into the sunset, celebrating within a gorgeous downtown evening.